I Count Myself Among Them tells the transformative journey of a Dogrib man who leaves behind a life of crime to follow the Red Road. 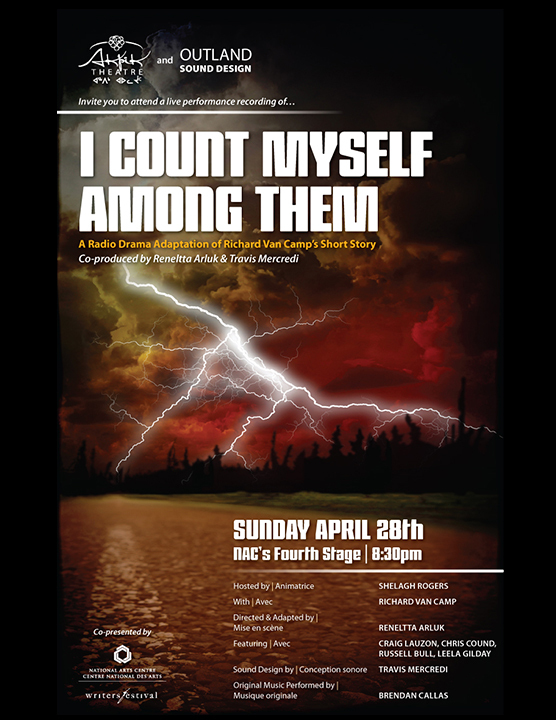 This arresting radio play adapted by Reneltta Arluk and sound designed by Travis Mercredi, features a cast of 11 Indigenous performers from the Northwest Territories and across Canada. Based on the stunning short story by acclaimed writer Richard Van Camp.